Cocktails: a necessary part of any balanced diet. Whether you need something to prepare your palate, wash down your meal, or just complete your daily food & booze pyramid, here are 10 places that do mixology right. This drinking den sits atop the 15th floor of the swanky Ritz-Carlton. 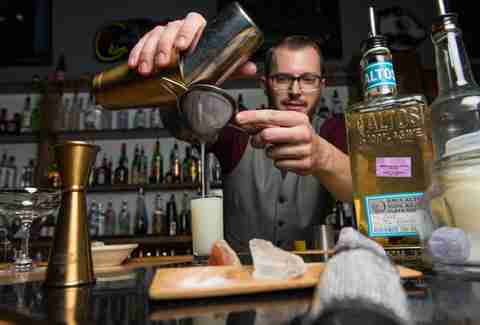 It's spearheaded by local cocktail celeb Bob Peters, so you’re bound to be impressed by the obscure ingredients, boutique liquors, and craftsmanship that go into each of his concoctions. Though you’ll want to ladle down anything you can get your hands on fast, this spot isn’t a fan of vertical drinking, so find yourself some manners and a table to enjoy your handcrafted punch in Gatsby fashion. 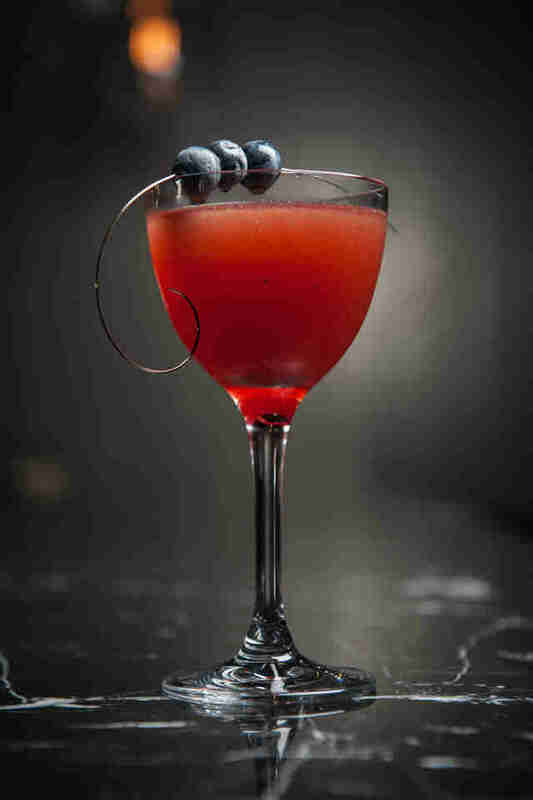 A modern-day speakeasy with access down a flight of stairs and through a sliding barn door, this Prohibition-style cocktail bar focuses on the drinks of yesteryear. Guys clad in suspenders deliver boozy sips, which pay homage to old-timey drinks that never get old. 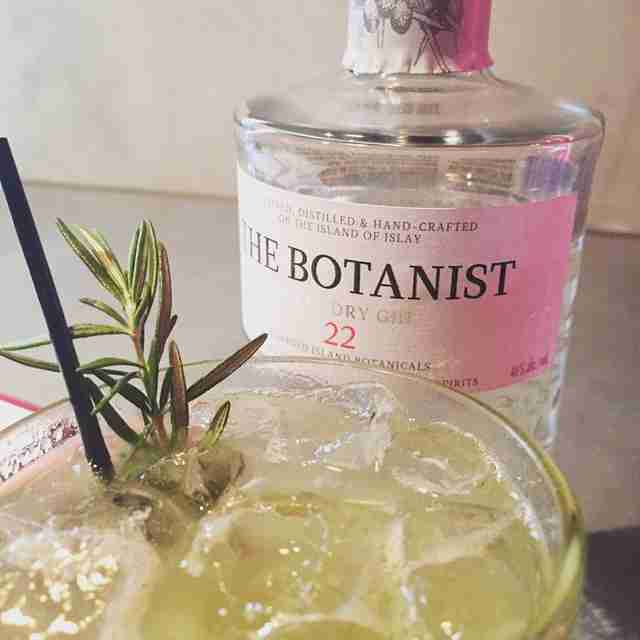 Behind the bar, you’ll see everything from whole cinnamon sticks and ginger root to herbs and tinctures. Even the ice is special: it’s all hand-cut. Most people flock for the unique bar fare and craft brews, but the cocktail program at Pint Central is a real gem. Lead bartender Henry Schmulling gets adventurous in his endeavors, coming up with cool concepts such as craft shooters. His take on the old oyster shot classic? Pecan chili-infused tequila and ceviche syrup topped off with a corn tostada garnish with shrimp and a sprig of cilantro. You don’t typically walk into a place that brews beer and expect to find quality cocktails. In addition to craft brews, this place serves up some mean cocktails with new twists on classic staples. Its version of the Old Fashioned is served with brandied cherries that you’ll inevitably want to steal from the container behind the bar. Also, beer cocktails: two beautiful worlds mashed together. This chef-driven spot knows that a well-designed cocktail bar is crucial to any eatery. 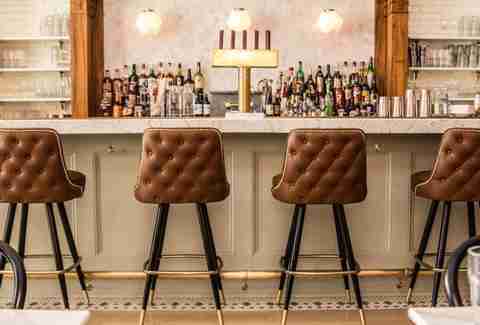 Gorgeous leather tufted barstools surround a crisp white backdrop: a combination of painted brick, gleaming subway tiles, and a solid marble bar top. Behind the bar, causally dapper barkeeps shake up seasonal cocktails to complement the ambiance. For kicks, try the “Take Two of These & Call Me Amaro,” a fernet slushie that will make you feel like a kid all over again, but with the perk of booze. One of the originals to sling true craft cocktails in Charlotte, Soul continues to churn out some of the most innovative drinks in town with ingredients you’ve never heard of and will probably butcher if you say them out loud. 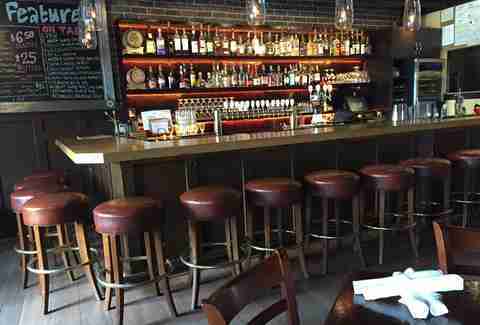 Paired with its eclectic ambiance and funky selection of tapas, it’s an oldie but goodie that continues to please. Its ever-changing drink list also includes cocktail taps that deliver handcrafted taste with a less-than-a-minute turnaround time. Yeah, we know you’re so over waiting 10 minutes for someone to put a drink in your hand. 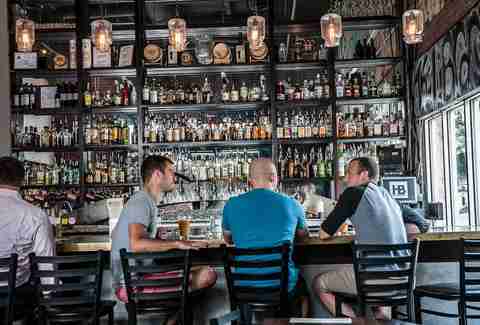 You’ll be hard pressed to nab a barstool at this neighborhood pub, but once you do, you won’t want to leave. Manned by chicks (score) that whip up some seriously boozy concoctions -- many with a whiskey base -- it’s any guy’s dream. Of course, the drinks are seasonally inspired and crafted with the best of everything, like local liquors and herbs, small-batch bitters, and homemade syrups. 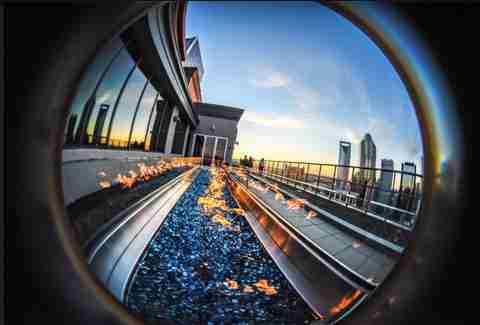 This scenic restaurant boasts the best view of Uptown, hands down. Of course, the cocktails and fire pits only make it better. Your drink will most likely include a fresh herb plucked from the rooftop and it’s possible it’ll have a pickled fruit. A craft drink with a view? Your Instagram page better brace for some likes. Stagioni is housed in a historic mansion with a fireplace inside, so there are few places you’d rather spend an evening sipping away. 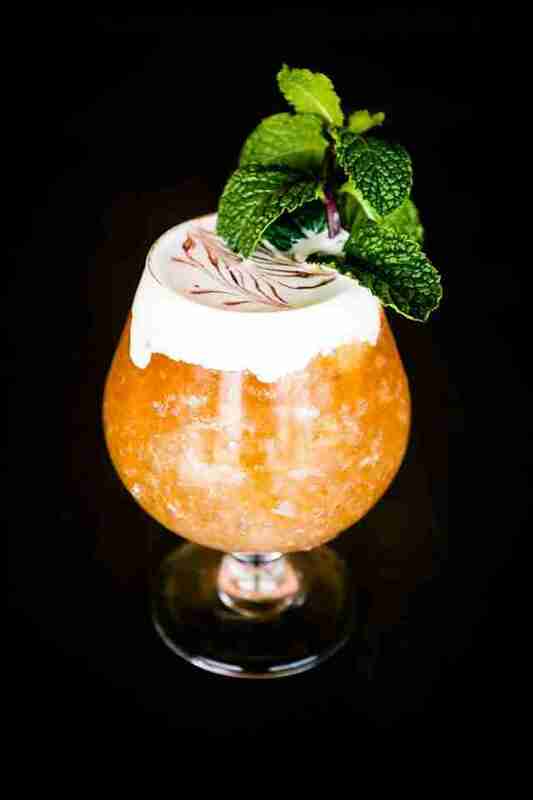 The drink list may not be long, but every cocktail on it is thoughtfully conceived and executed. If it’s not in season, it’s not on the list. 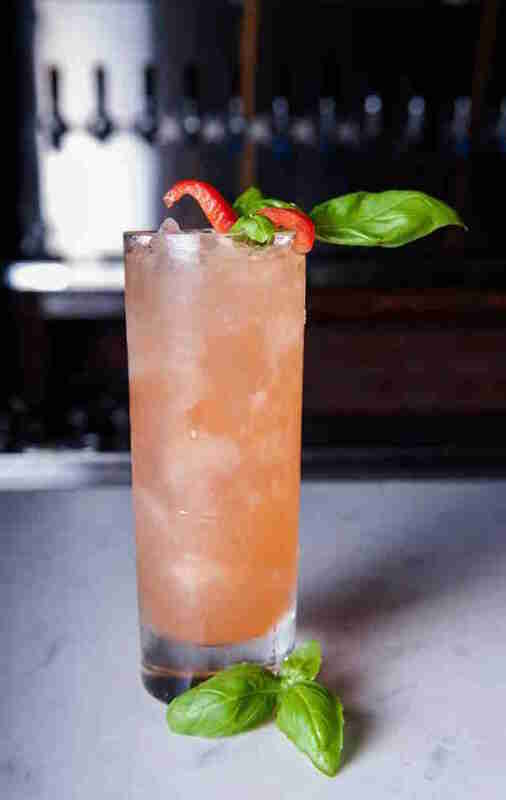 The cocktails are aromatic, boozy, and sure to prepare your palate for the delicious Italian food that comes from the open kitchen (order everything on the menu). 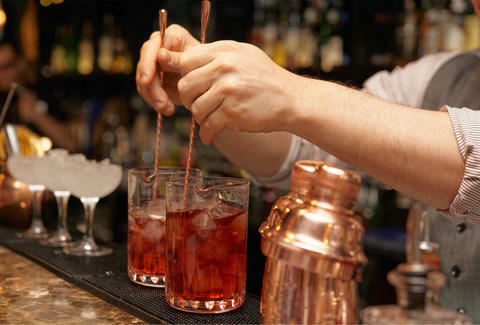 It’s likely you’ll meet a celebrity while sitting at the bar and it’s a definite you’ll be sipping on something tasty. 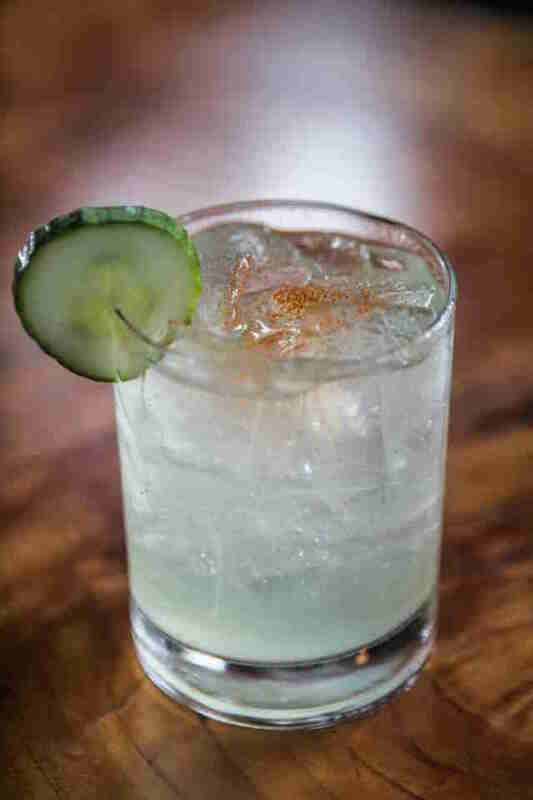 The half-spicy, half-sweet “Viper,” (tequila, Cointreau, cucumber water, and cayenne) is a local celeb of its own kind and is a must-order. Your drink won’t be set on fire here, but it’ll be good and you can’t beat the vibe.